Are Squats or Leg Presses Better for Testosterone? No matter how athletic and toned your upper body is, if you’ve got small legs you’ll be the laughing stock of the gym. There’s no excuse for skipping leg day. Not only does lower body training build an impressive set of wheels and improve your performance – it sparks off your testosterone levels and muscle building too. So where do you go from here? Which exercises should form part of your leg day? With that in mind, not all leg exercises are built equally. 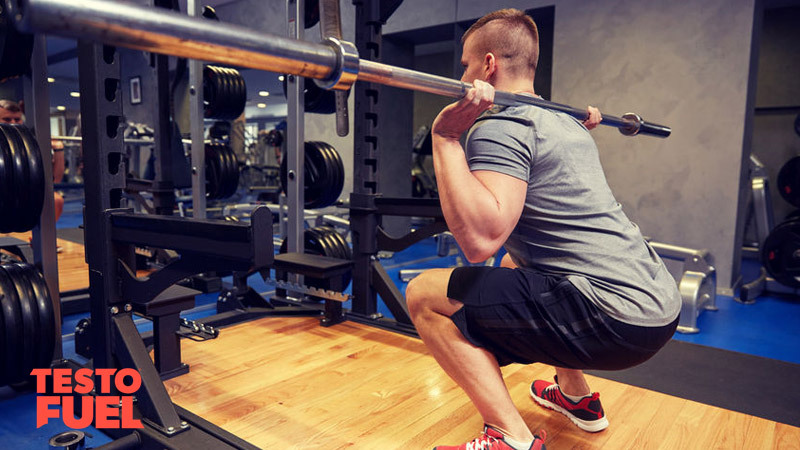 In this article we pitch the biggest and best leg exercises against each other ask the question; which boosts testosterone the most – squats or leg presses? Testosterone is a hormone released from your testes. It is a natural steroid and a potent regulator of all that makes you a man. It has two very distinct mechanisms by which it promotes and maintains masculinity – androgenic and anabolic. Androgenic – body hair, the tone of your voice and other masculine characteristics are also regulated by your T levels. The way that testosterone production is controlled is very clever. If the part of your brain called the hypothalamus senses that testosterone is low it will ask your testes to up their workload and produce more. And if it gets too high it asks them to slow down. And if you train in just the right way you can ‘trick’ your brain into knocking on the door of the testes and flooding your blood with even more muscle building hormones. You’ve been hitting the gym hard for a few weeks and you’re noticing the your chest and shoulders look broad and imposing. Your arms look thick, strong and masculine. Maybe if you’ve been watching the diet you might have some abs sticking out too. But then you look down at your lower body. What do you see? Legs so puny that even the local flamingos are laughing at you. 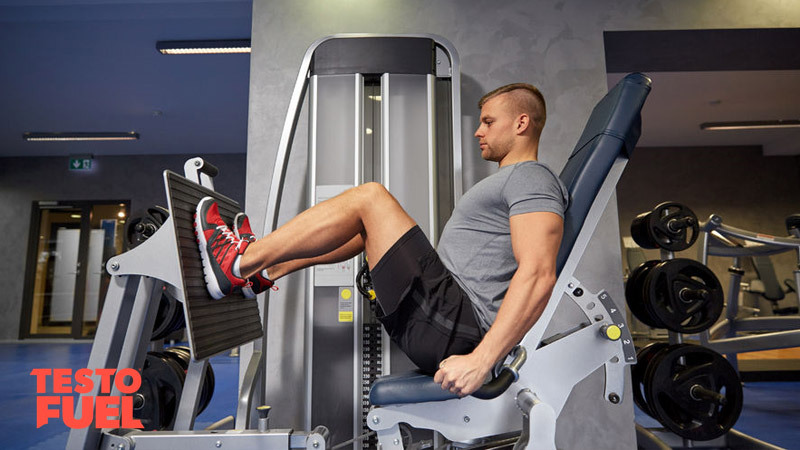 Although for some reason, many men choose to skip leg day in favor of yet another arms workout, there are a number of specific benefits that leg day can provide. Not only does it give you thighs like tree trunks and calves to be proud of, it can also boost both performance and health. Many lifters that do include lower body work in their program will swap out and exchange squats with leg presses without much thought. At the end of the day they both work legs right? 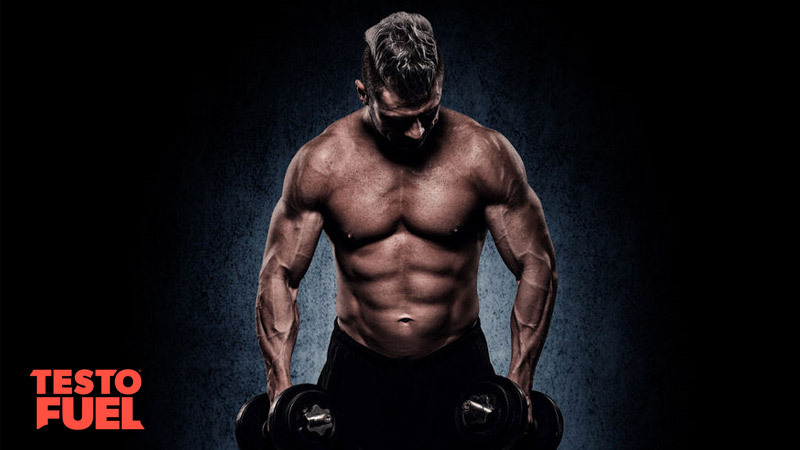 There’s been an ongoing debate for years about whether or not you should ditch the machines and stick to free weights, or whether machines help to keep the focus on your target muscles better than barbells and dumbbells. And there’s no definitive answer either. It depends very much on what you want to achieve. But what if your goal is to increase your testosterone levels? Is there a best way to do it then? Recent research might be helping us to find an answer to that very question. Researchers at the university of North Texas  wanted to see what using squats or leg presses did to the hormone levels of 10 well-trained men. The purpose of the study was to examine “the effect of resistance exercise selection on the acute hormonal response using similar lower-body multi-joint movement free weight and machine weight exercises”. The men were split into two groups and asked to complete 6 sets of 10 reps of either squats or leg presses – both set at the same relative weight of 80% of their maximum. After each workout, the men had their blood taken immediately after the session, at 15 minutes and 30 minutes after the session had finished. Both variations of leg training elevated anabolic hormones. This included growth hormone and testosterone which both spiked immediately after training had finished.. Within 15 minutes, the research team reported that testosterone levels were 16.7% higher in the squat than the leg press. It was the same for growth hormone too with a massive 240% increase. Similar readings were reported at 30 minutes as well. Even though the relative intensity was the same for both exercises and the anabolic response was higher in the squat, the men used much more weight on the leg press. Key Point: Squats will elevate your anabolic hormones more than the fixed leg press. So why exactly is a short-term increase in testosterone and growth hormone important for muscle growth? The answer is essentially down to tissue remodelling . Testosterone and growth hormone are both critical for skeletal muscle growth. That means that when hormone concentrations are elevated, the genes that are responsible for starting protein synthesis start to switch on. The regulation of important receptor sites also starts to go up too. And what do researchers currently think is the best way to elevate acute hormone levels? “Protocols high in volume, moderate to high in intensity, using short rest intervals and stressing a large muscle mass, tend to produce the greatest acute hormonal elevations” . The first thing you can take away from this research is that both squats and leg presses will have a positive anabolic response. But if you really want to maximize your T response then get under a bar and squat. Just don’t forget that the study specifically used 80% of each volunteers’ maximum so make sure you go heavy too. Realistically, the difference in anabolic response is probably down to changes in total work – basically the volunteers were able to complete more total reps in the squat due to the weight being slightly lower. On top of that, the squat works more muscles and more total muscle tissue. This is because free weights require you to use additional stabilizer muscles to maintain the correct posture and position. This will cause more muscle damage which of course will lead to the need for more muscle repair. And because testosterone is a big regulator of protein synthesis, this also explains why squats have a greater effect on your hormones. Squat. Lift big. Do lots of reps. Grow. Can a leg press be a good substitute for squats? What is better squats or leg press? Why do squats increase testosterone?